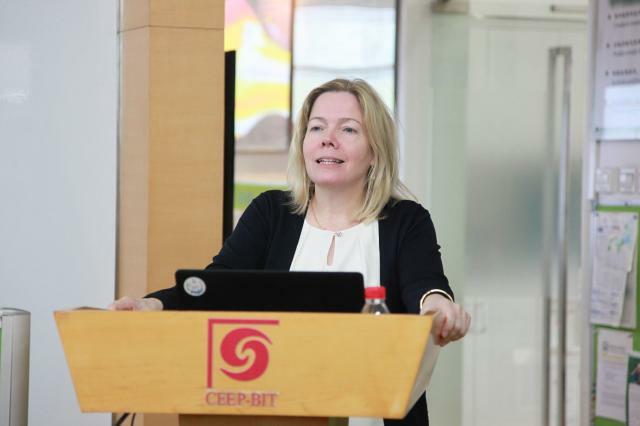 On March 15 2019, at 15:00, Ms. Deborah Logan, Publishing Director of Elsevier Journals, was invited to visit and present an academic report entitled “Shaping the future of scholarly publishing”. This report was hosted by Prof. Wenling Liu, many teachers and students attended the report. 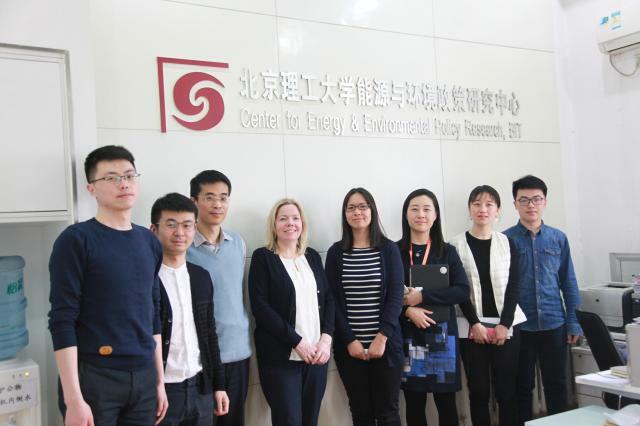 Ms. Deborah Logan is Publishing Director for Elsevier’s Energy & Earth journals’ programme, which is the largest publishing programme in the energy and earth sciences, and which includes many flagship titles publishing world-class content. In addition, Deborah has a key strategic and communications role on several projects concerning Elsevier’s journal publishing activities in China, including the set-up of a joint venture with China’s largest STM publisher, and in developing partnerships with key institutes in the region. Deborah is based in Paris and has been working with Elsevier since 2006. Before then, she worked at Oxford University Press in UK; at a non-governmental agency in Kenya; with the Japanese Ministry of Education; and at Sony in Japan. Deborah’s passions lie in raising standards, championing excellence, and promoting greater diversity in science. In today’s report, Ms. Deborah mainly talked about: Researchers today need to collaborate, share data, secure funding, publish results, and demonstrate impact. Early career researchers in particular are faced with multiple pressures around these challenges, wherever they are in the world. This talk shared insights on the evolvement of Scholarly Publishing and how that could better support researchers on scientific communications. Innovations around open science, data sharing, performance evaluation metrics, promotion of your research, and new technologies applied to scholarly publishing will be introduced, to help researchers successfully develop their career in research. After the report, Ms. Deborah took the picture with teachers and students at CEEP together.